Italian drivers like to drive fast and aggressively and it is common to see cars jumping from one lane to the other or braking late to an orchestra of car horns behind them. Unlike the UK do not expect Italian drivers to slow down for you or let you out of a junctions. However, Italy has some of the fret European roads to drive along with modern motorways networking the country to the wonderful coastal roads that wind along the Mediterranean coast. Italy is a treat for any driver and by taking a hire car you can get to visit some of the best tourist sites in Italy. Here’s 5 tips on getting the most out of your driving holiday in Italy. Before deciding what to see in Italy be sure to make sure you have all the correct documents that are obligatory to be on you at all times while driving. All sorts of problems can be avoided just by having the correct paperwork with you in your car when you are off visiting places of interest in Italy. Firstly, you will need your full, valid driving licence and your passport for identification. Proof of car insurance (third party or above) must also be in the vehicle and civil liability insurance is compulsory – a Green Card is the probably your option, this can be arranged in advance or taken out at the Italian border. Also in the vehicle there must be reflective jackets (must be worn if involved in a breakdown or an accident or if the vehicle is stationary alongside a road where stopping or parking is prohibited), a spare tyre and a warning triangle (compulsory in every vehicle with 4 wheels or more). Seize the moment, that’s how Italians drive so don’t wait to be let out of that junction, spot the gap and go! Italian drivers expect you may pull out but they don’t let you out so go for it! While driving to and from tourist attractions in Italy you’ll encounter city drivers who like to toot their horn, a lot. Don’t panic if they do it to you, they do it to everyone. 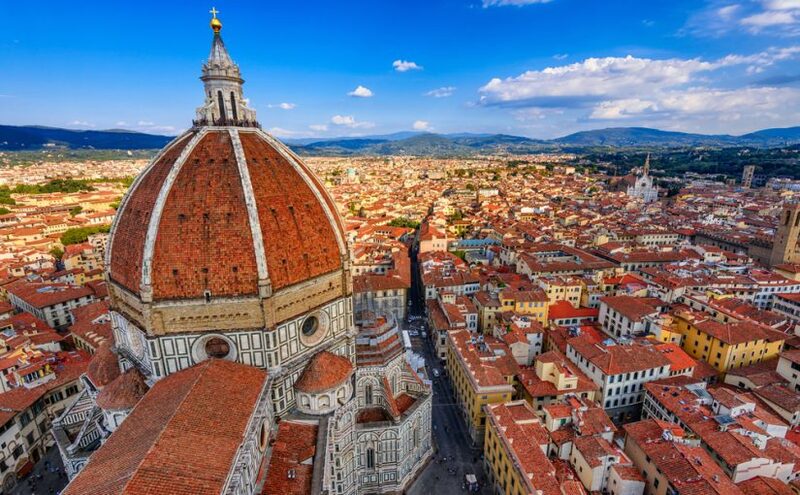 When deciding what to visit in Italy try to plan you route to avoid busy times, and there are so many things to do in Italy that you’ll have plenty of choice! Of course nearly all the places you should know about in Italy are going to be popular with drivers, so plan well. One of the most important things to do in Italy is to learn the road etiquette in Italy is quite a bit different from the UK and a signal we take for granted as meaning one thing back home could mean something totally different in Italy! If you’re not sure what to do in Italy when driving, follow these simple few ‘rules of the road,’ flashing your headlights, for example, means to other drivers, ‘Get out of the way’ or ‘Don’t pull out…I’m not stopping!’. However, if you should get flashed by an approaching car be aware that it is warning you of a police check up ahead. You will witness, and possibly experience, some of these when visiting places of interest in Italy by car. When visiting tourist sites in Italy you will, at some time or another, be driving in cities where you need to be aware of traffic restrictions as well as some ‘interesting’ driving styles. When you are planning what to see in Italy make sure that you can get to the tourist attractions in Italy without having problems trying to find somewhere to park the car. Some of the places you should know about in Italy are tucked away in city centres (take Rome for instance) and in Italy, many city centres are off-limits to unauthorised vehicles and if you end up into controlled traffic zone you run the risk being caught and fined. When you’ve decided what to see in Italy while driving around the country find yourself somewhere easy to get to to park the car and use the city’s public transport to avoid all the stress of city driving. Maybe you are going on a road trip with friends or family. Or perhaps you just wish to have some transport to get you to see the tourist attractions in Italy. Or maybe you want to get there and see what happens while you discover Italy by car. Whichever it is, when you decide what to do in Italy in your car, make sure you choose one that suits your trip. For example if you are intending to discover Italy’s beautiful countryside, with it’s narrow winding roads and unpredictable weather at times it may be best to opt for an all-terrain vehicle that will get you through most situations. Or maybe you’ll be spending a lot of you driving time on motorways and therefore a large saloon car may prove more suitable. Whichever it is, choose carefully and wisely and make the most of your holiday. It’s hard to decide on what to visit in Italy, there is so much to see! But, by driving around this amazing country you get to see it at its best. Choosing a hire car is a great way of doing it as you will get a wide choice of cars and plenty of options for fuel packages and any extras such as GPS that may well be handy. With an annually renewed fleet Goldcar offers drivers in Italy the very best options available to see its tourist attractions and enjoy the culture in the home of Latin. If you really want to enjoy your trip to Italy, it is important that you know how to drive there. We show you a 7-minute driving guide.